Cost: N/A - gift; thank you Toni! Purchased from: N/A - gift; thank you Toni! Today was Day #5 of Chocolate and Halloween Cocktail Theme Week. Cocoa nibs are concentrated bits of chocolate flavor. 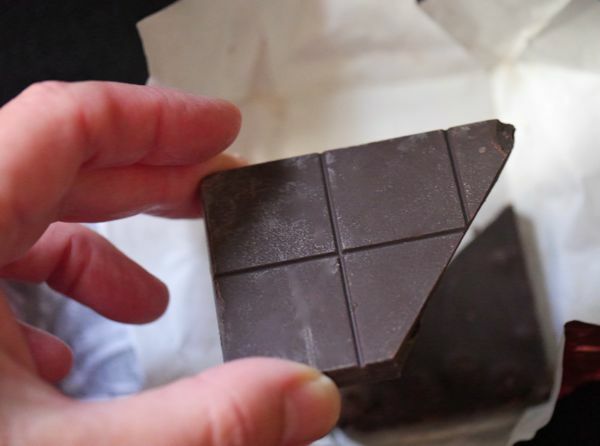 Their essence can be contained in a dark chocolate bar, or infused into spirits. (Not Halloween ghosts, but distilled spirits.) Being that Halloween—one of the great chocolate holidays—is upon us, I'm going with both a dark chocolate bar with cocoa nibs and a Halloween cocktail called a Cocoa Rumpkin (see below). 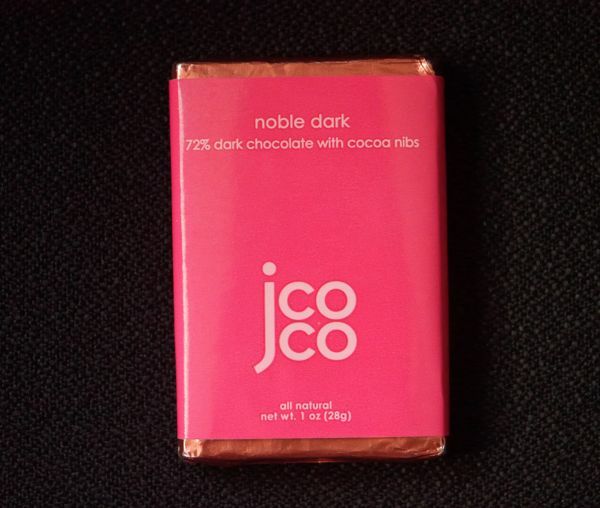 First up...the jcoco Noble Dark bar (72% dark chocolate with cocoa nibs). This bar was one of a set of small bars I received as a gift. 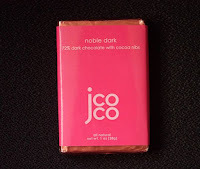 The jcoco brand is part of Seattle Chocolate Company (Seattle, WA). 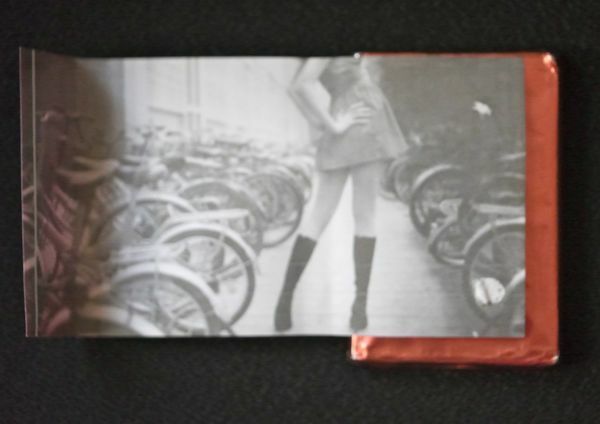 The design and packaging for the jcoco line is high fashion fun, and the chocolate isn't bad either*. The company has pledged to give one serving of food to a person in need for each chocolate purchased. The bar had a chocolate fudge brownie aroma and taste and the nibs added some texture. The "non-gmo, vegan, gluten-free" Noble Dark bar was also kosher. 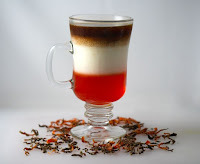 A Cocoa Rumpkin is a three-layer cocktail that I made up. The bottom layer was Aperol (an orange-flavored apertif) and honey. 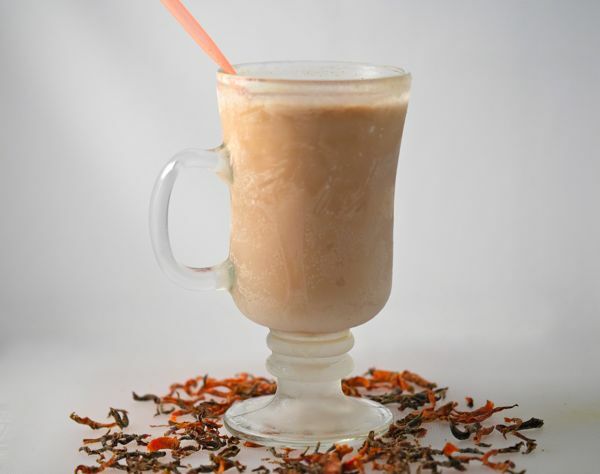 The middle layer was a pumpkin-infused cream with spices (cinnamon, freshly grated nutmeg, cloves, allspice, ginger). And, saving the best for last, the top layer was cocoa nib infused dark rum**. The cocoa nibs imparted an extra dark chocolate, almost coffee-like flavor to the dark rum. Carefully "float" one layer atop another and there you have it: a Cocoa Rumpkin, today's chocolate rum and spicy orange Halloween cocktail. Or, you can stir all these layers together, and freeze, to enjoy as an adult milkshake. *The jcoco Cayenne Veracruz Orange white chocolate bar is an example of how tasty white chocolate can be. **First, I infused cocoa nibs into Myers's dark rum for a week. Then I drained off the rum to use as a top layer for this cocktail. Leftover cocoa nibs, can be used for cookies, brownies or with ice cream in adult milkshakes. Regalos con Peluches o Chocolates en familia y para todos.